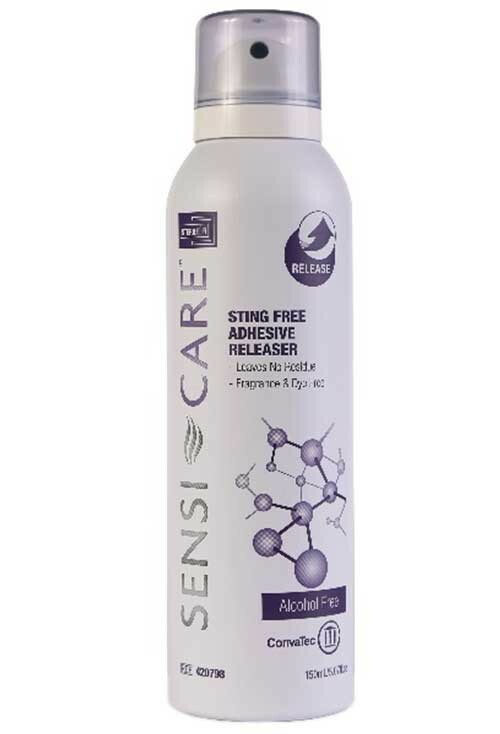 Sensi-Care Sting Free Adhesive Releaser Spray is a silicone spray to help with the removal of adhesive from the skin in a safe and painless way. 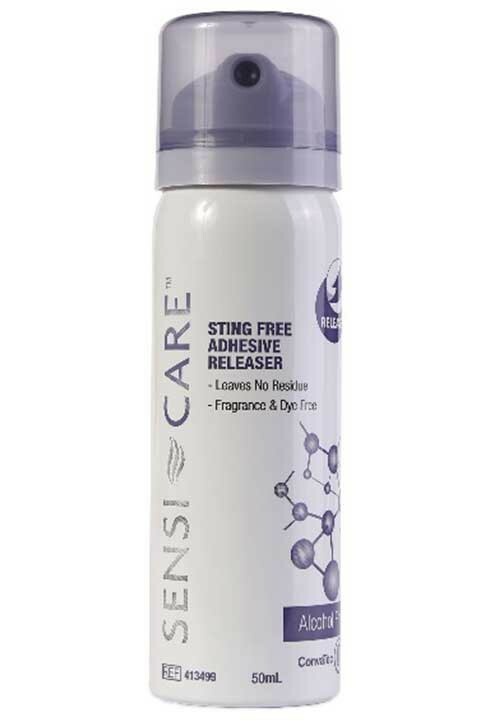 Sensi-Care sting free adhesive remover creates a layer of silicone between the skin and adhesive. Once the silicone layer forms, the adhesive will fall off and the silicone begins to quickly evaporate. After a few seconds, the silicone will be completely evaporated and the adhesive can be reapplied with just as much strength. It rapidly releases adhesive from ostomy appliances or dressings. This product is easy to use while minimizing patient trauma. Select from two separate spray bottle options--50 mL or 150 mL. Sensi-Care Adhesive Releaser Spray is designed to eliminate skin tearing and painful removal of adhesives. 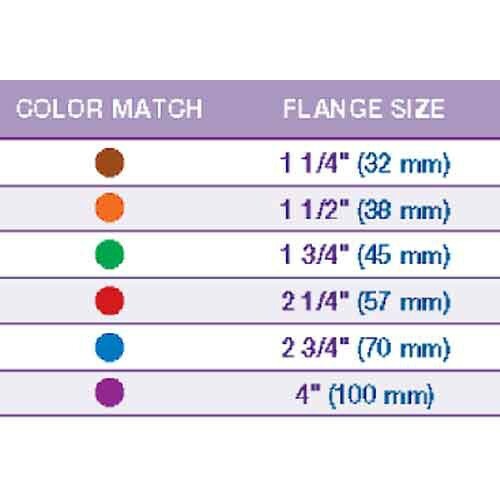 This is particularly helpful for patients that constantly need an ostomy device applied and re-applied. Because the spray is silicone based, it will not sting when applied, even if the patient has sore skin. This factor minimizes irritation and redness. 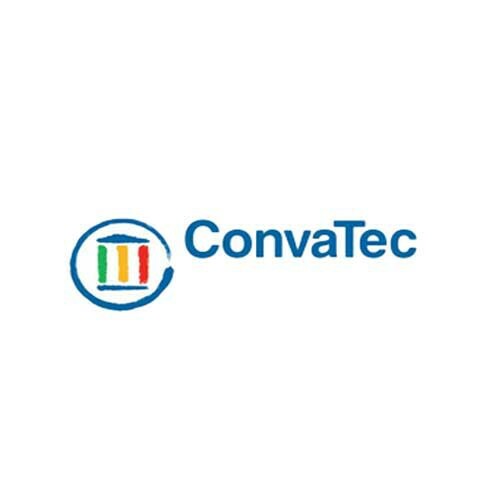 Request a FREE SAMPLE of ConvaTec Adhesive Releaser Spray by clicking the link. ConvaTec makes many Ostomy Skin Care Supplies, including Sensi-Care Sting-Free Adhesive Remover Wipe and AllKare Wipes. Great product! A must to help keep skin happy when removing wafers.